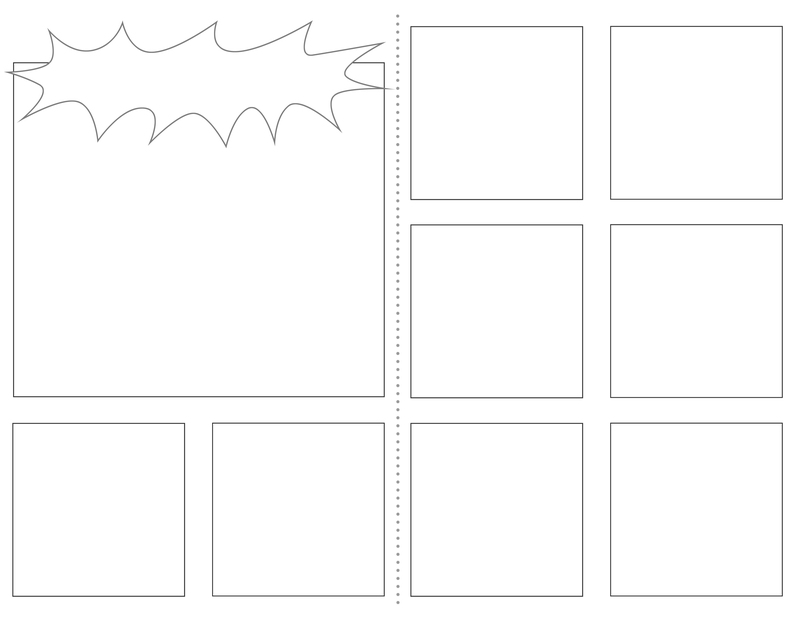 Make your own comics with these printable pages. 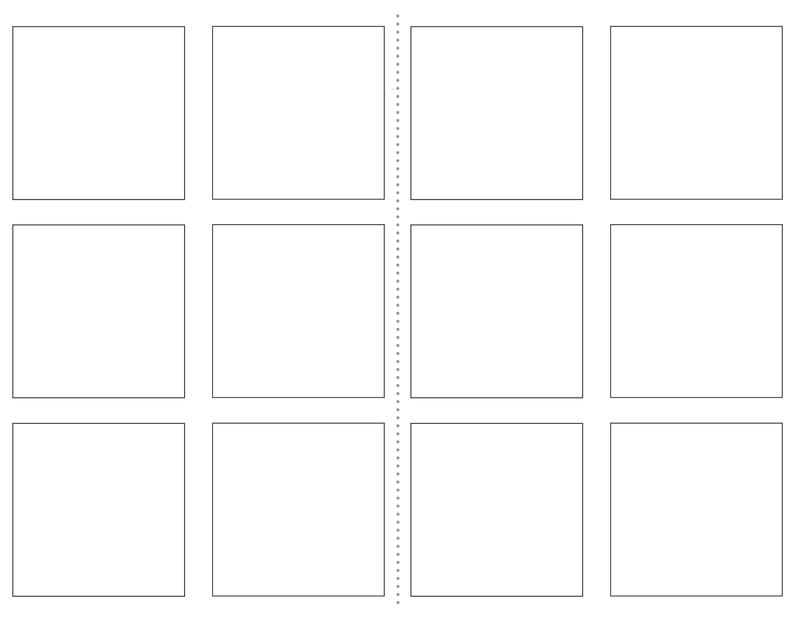 Print these pages and draw your own comics. Fold and staple to make a book. 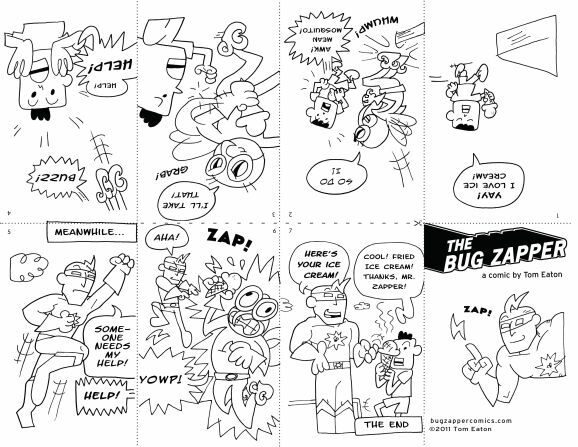 Page with panels and blast caption. 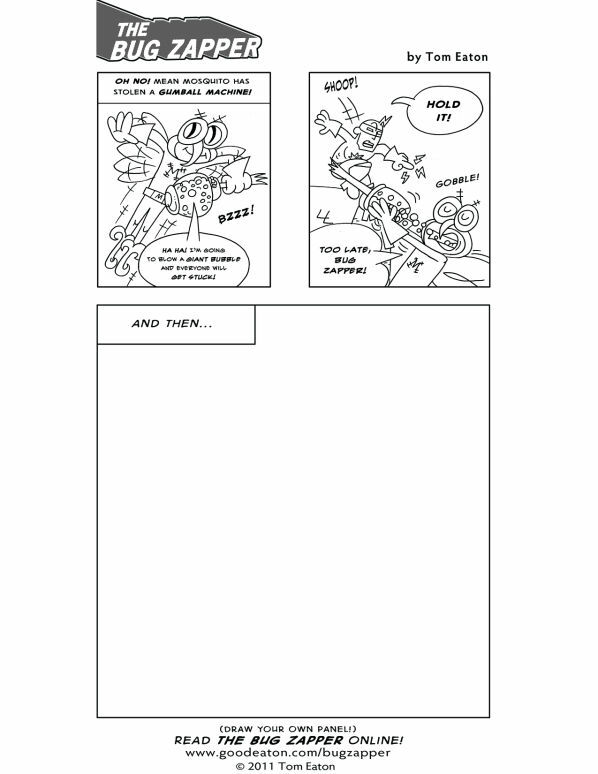 Print this page, color, and finish the story! 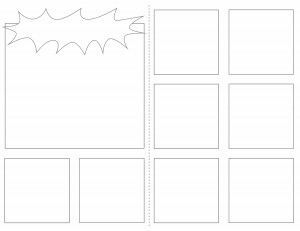 Make a mini comic book from one sheet of paper!